Many folks are beginning to receive The Rock Climber’s Training Manual in the mail. As a reminder, if you would like to tell everyone how awesome you think it is 🙂 please take a few minutes to post your thoughts on our Testimonials Page. We are very pleased to announce a new feature of RCTM.com — a user forum! This will be a great tool for interacting with each other, and will hopefully facilitate the development of a vibrant international “Community of Interest” in rock climbing training. For now, the forum is hosted on Pro Boards.com, which is a great forum site with lots of functionality. We have a link to it in the menu bar at the top of the page (or you can click here). 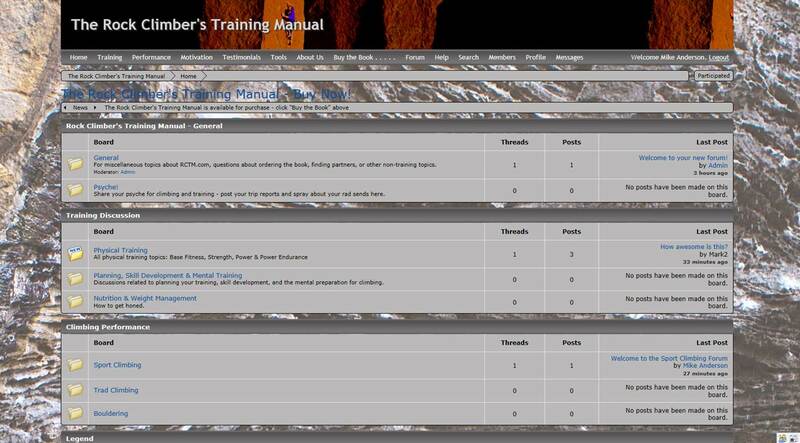 As you dive into The Rock Climber’s Training Manual, we hope it will stimulate questions and ideas. Please post these on questions and comments on the forum. This will give us an opportunity to answer your questions in a venue where others can see the response, in case they are thinking the same thing. This will also allow the many other very knowledgeable members of the training community to contribute their thoughts as well. While we pretend to know everything :), we don’t! We want to learn too, and this whole book and website project was really a clever ruse to initiate a much larger “training movement” that we will eventually feed off of. This forum is the next step in our master plan — please contribute and make it a spirited discussion that we will all benefit from. Whatever we’ve accomplished so far has been a result of heavy collaboration with the climbing community, and we need your continued participation to keep learning and growing. Thanks for your past contributions, and thanks in advance for those that are still to come! 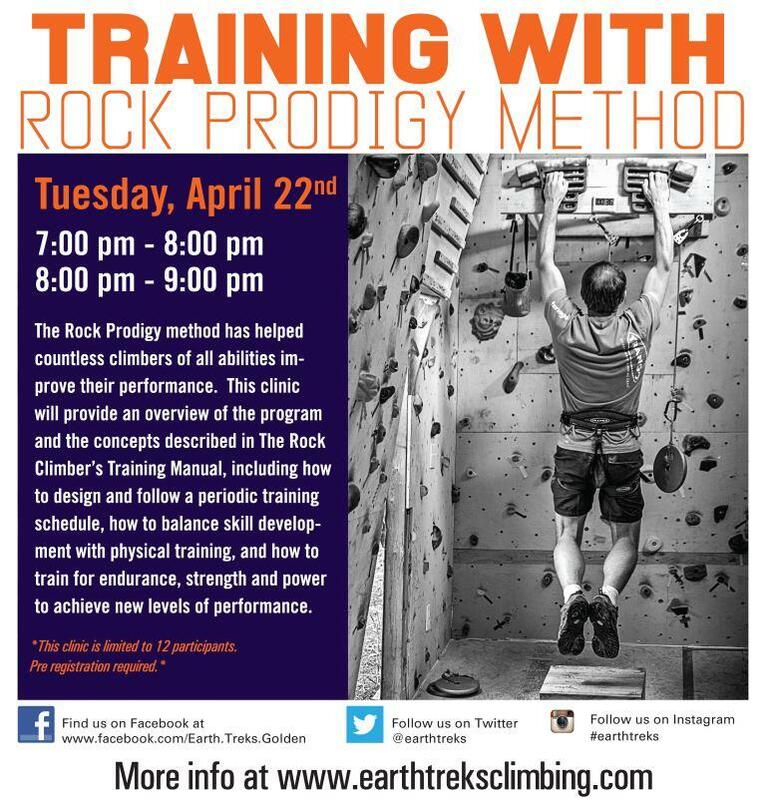 The clinic will include a student survey, some background on me, and then a quick overview of the Rock Prodigy program, including information about all the different training activities we recommend, followed by an in-depth Q&A/discussion about the finer points of the program. I will tailor the discussion to the experience level of the participants, so wether you’re completely new to training or you’ve been following the program for years, you should be able to get something out of your time. I will also have books with me for sale (bring cash or check). Finally, I (Mark) will be presenting a slideshow at Bent Gate Mountaineering’s Community Night on May 14th. Bent Gate is located in Golden, Colorado, and the event starts at 6pm. The show is titled “Mark Anderson: Journey of A Thousand Miles”. I will discuss my decision to get just a little bit better after years of struggling with 5.10s, and how my approach of striving to improve just a little bit, applied over many years, has taken me to 5.14+. Mostly I will show awesome pictures of the key ‘milestone’ routes that motivated my progression, and maybe talk abriefly about how others can use the same methods to get a little bit more out of their climbing experience. There will be free SWAG from Trango and I’m sure it will be a great time. I will post more details and a poster as they become available. Hope to see you there! 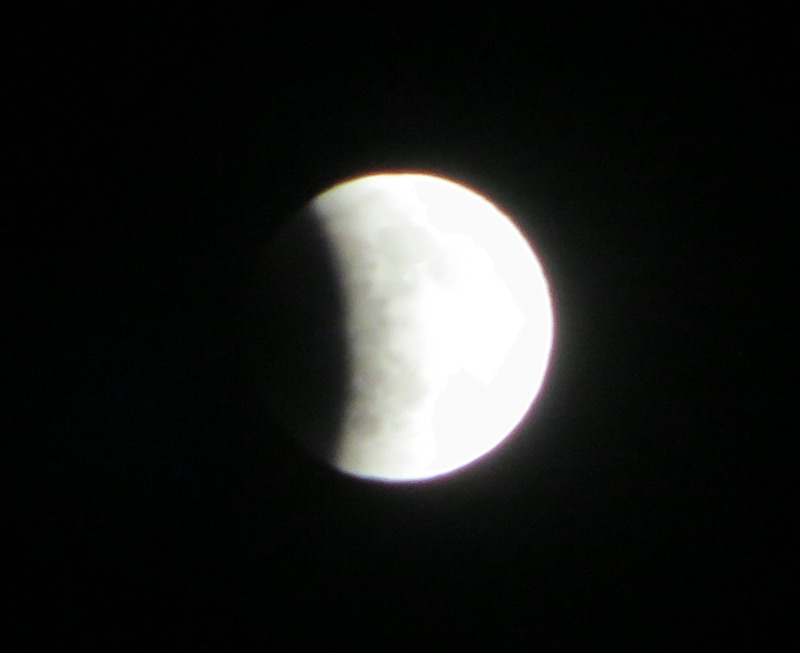 April 15, 2014 in Uncategorized.